Honoring the broken needle – Hari Kuyo – Cheryl Sleboda – Textiles. Technology. Texture. Teacher. Today is Hari Kuyo, the ceremony in Japan to honor your broken needlework tools. 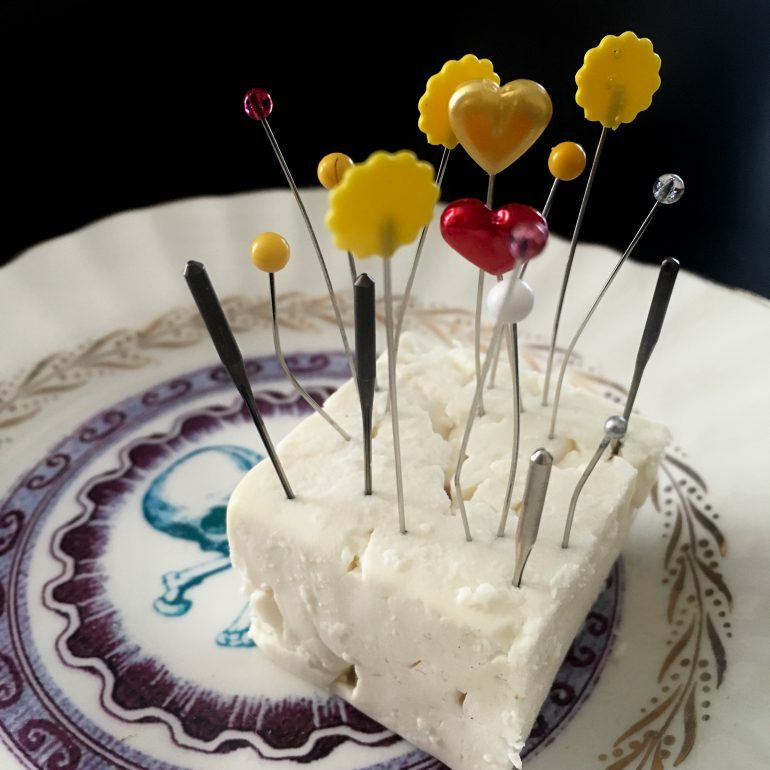 On February 8th, in Shinto and Buddhist temples across Japan, needles, pins, and small scissors are laid to rest in soft jelly or tofu. Kuyo is a redemptive fire ceremony for tools by artists, chefs, and others to burn their worn tools, brushes, and knives to honor them for their work in their art. Needles and pins have a different ceremony, called Hari Kuyo, meaning Needle Memorial. No fire, but a soft cake to pierce one final time. I know we have all been seeing the Marie Kondo Tidying Up series on Netflix being discussed, and much has been said over her “thanking each item for it’s service” before it’s discarded. But I don’t know that we really think about how useful, yet disposable, items help us do the work we need to do each time we sew. I think this ceremony speaks to me in a strong way, above my love for the Japanese culture. I spent about 10 minutes going through all of my pins looking for the truly crooked and broken ones. It was a nice way to assess my collection of these little sewing helpers. Now my pins are refreshed and ready to help, and these broken and bent ones will be retired. For those of you who are curious, after I honored my needles and pins, and then removed them from my little square of tofu, and wrapped them for the recycle bin. Texture. Technology. Textiles. Teacher. I'm that quilter your mother warned you about. Not your average quilter. Not your grandmother's quilter. I put lights in my quilts! Who knew? 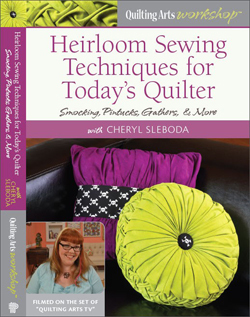 Check out my DVD/Online Class! Please note that some links on this blog contain affiliate links and I receive a small percentage of those sales. I would never recommend a product that I don’t believe in 100%. Thank you for your support!